While not an everyday occurrence; new gemstones and minerals are discovered from time to time. 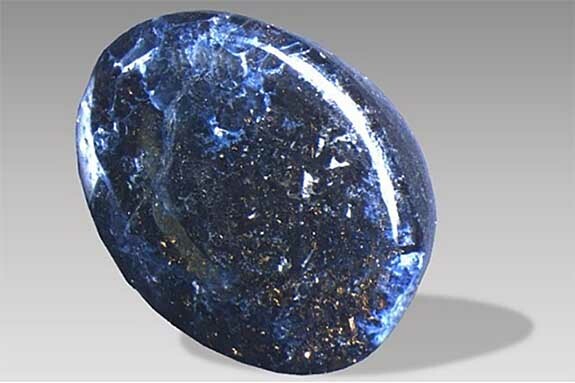 Israeli mining company Shefa Yamim has recently identified a remarkable new mineral trapped within the inclusions of the sapphires it recovers near Mount Carmel in northern Israel. The new material was named "carmeltazite" to honor the location of its discovery and its unique mix of chemical components; titanium, aluminum and zirconium (TAZ). Using state-of-the art technology, scientists at Macquarie University in Australia were able to identify the precise makeup of the Carmel Sapphire inclusions, which included the first non outer space occurrence of natural tistarite. Previous discoveries of the mineral tistarite reached the Earth via meteorites. They also found the TAZ chemical components of the newly designated carmeltazite, as well as volcanic glass. A note about sapphires in general; while sapphires are mostly thought of as blue, sapphires actually come in many different colors. Besides blue; sapphires can be green, purple, golden, pink, etc. Red sapphire is known as ruby. Gemologists have often argued over many light red rubies as to whether or not they are a ruby or a pink sapphire.